A new full scale training field coming online this spring. We are also making arrangements for a large indoor training facility. We offer Common Sense Dog Training Everyone can Understand & Apply! I have trained well over a thousand dogs the last 22 years, in all areas: Pet Obedience(Puppy, Basic & Advanced), Problem Solving, Up-land Game Bird Dogs, Tracking, Schutzhund, K-9, Man Trailing, AKC Competition "Obedience & Tracking", Home Alert Dogs/Protection Dogs and the list goes on and on. 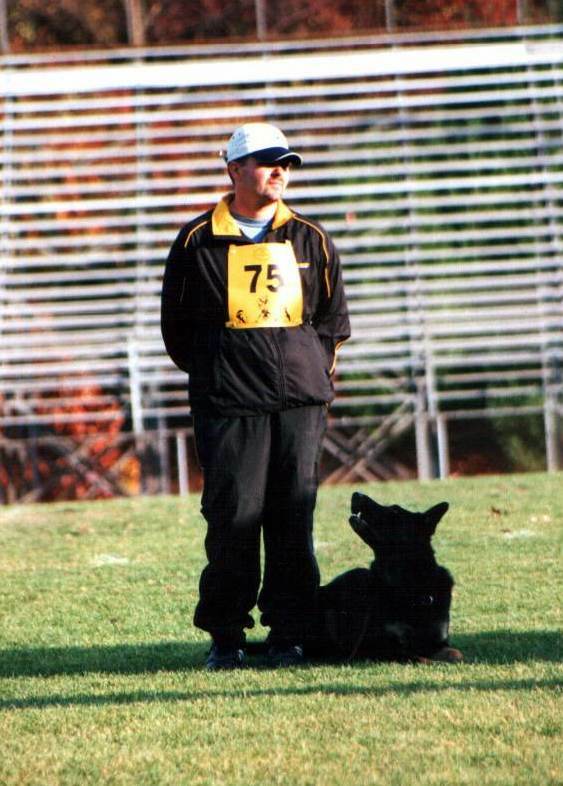 I started training dogs professionally in the early 90's competing dogs in Schutzhund/IPO sports in 1996, around the same time I started my German Shepherd importing & German Shepherd Dog breeding program. I have competed at the local trial, Regional and National Championship Level Competitions. I have helped clients title their dogs in Schutzhund, AKC Obedience (CD)(CDX) (RN) and AKC Tracking (T.D). I offer dog training to every level of owner, from new puppy owners, to high level Competition Handlers. I have been training dogs professionally since I graduated from West Virginia Canine College in 1994. I can help you teach your new puppy how to behave and be a solid companion or how to develop him into a competition dog. I now offer dog training to the entire Frederick MD, DC Metro area. My Promise to You, I have worked hard over the last 22+ years honing my skill in being able to help others. The training of dogs and their owners to live together, and enjoy each other, is my professional goal! I promise to work with you personally, to get the job done!